Idaho has the benefit of having a strategic location. 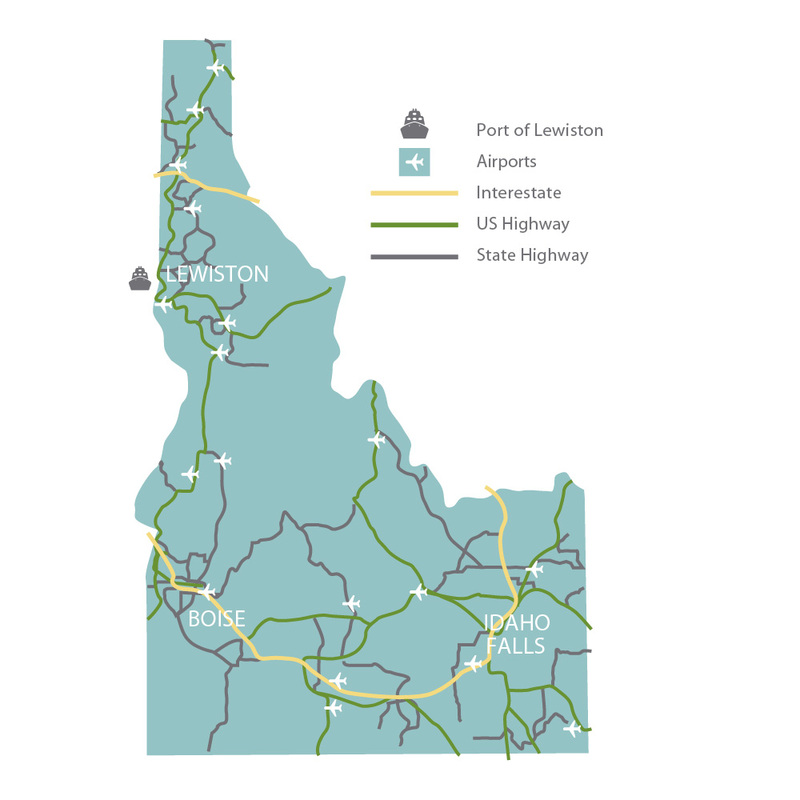 Whether shipping product by rail on Union Pacific or BNSF, by water out of the Port of Lewiston, by road on our five interstates, or flying out of one of our seven commercial airports, Idaho businesses have access to various transportation options that reach the Intermountain West, West Coast, Western Canada, and even Asia. I-15 through Pocatello, Blackfoot, and Idaho Falls; I-84 through Boise and Twin Falls; I-86 from I-84 in Heyburn to I-15 in Pocatello; I-90 through the Idaho Panhandle; I-184 connects I-84 to downtown Boise.